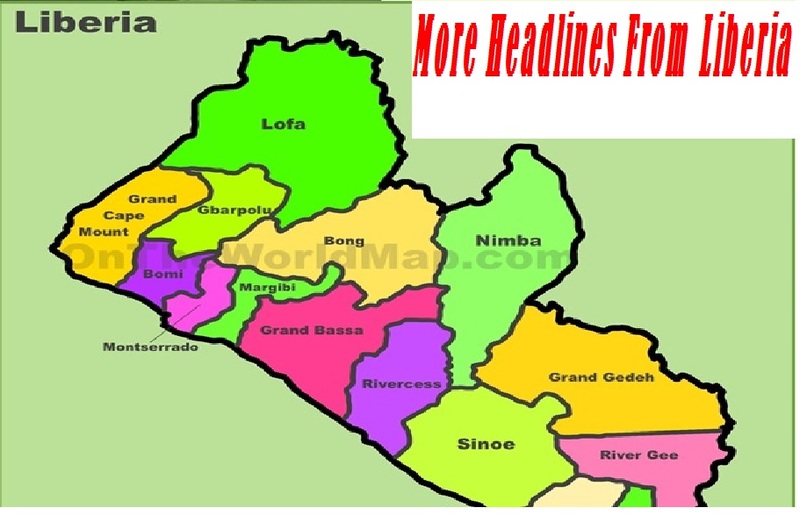 (Monrovia: November 5, 2018): The Commissioner General of the Liberia Revenue Authority (LRA) Thomas Doe Nah has called on members of the African Tax Administration Forum (ATAF) to increase efforts in supporting a firm domestic resource mobilization mechanism on the continent. ATAF is comprised of tax authorities in the African region that is leading efforts towards initiating concrete programs in order to help the continent step away from aid dependency and move in the direction of a reliable domestic resource mobilization (DRM) revenue flow. 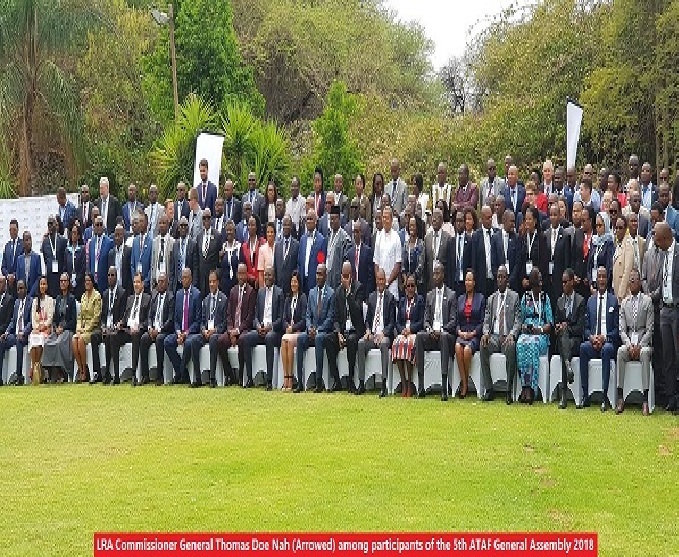 Addressing the 5th ATAF General Assembly and Conference held recently in Gaborone, Botswana, CG Nah emphasized the significance of the Addis Tax Initiative to promote partner countries in enhancing DRM for sustainable development, particularly financing the African Union Agendas 2063 and the UN SDGs 2030 respectively. 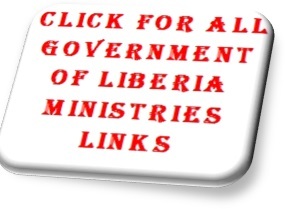 He lauded the launch of the Consultative Technical Groups of which Liberia is a member. He called on renewed and increasing commitment by donor countries to support the formulation of domestic resource mobilization strategies in developing countries as a milestone achievement for the DRM process and support. The LRA Commissioner General also urged the Addis Tax Initiative (ATI) member countries to foster triangular relationship between institutions like ATAF, donors and partner countries to accelerate implementation of the DRM across the continent. The ATI, among others is a multinational which intends to generate substantially more resources for capacity building in the field of domestic revenue mobilization / taxation as well as more ownership and commitment for the establishment of transparent, fair and efficient tax systems. He said the key pillar of the strategy is to enhance taxpayers’ knowledge of the tax laws and their rights and obligations, through effective outreach and assessable information. CG Nah indicated that one of the major objectives of the DRM is to diversify, expand and enhance service delivery and consistency in treatment of taxpayers to attain a high level of client confidence and trust. Commenting further on the topic: New Challenges & New Opportunities: Improving Voluntary Compliance In Africa, CG Nah indicated that taxpayers knowledge about tax laws, simplification of the tax laws and introduction of best attractive taxing scheme are holistic elements in achieving tax compliance. He said putting in place prudent expenditure measures by governments also helps to improve voluntary compliance and taxpayers’ trust in getting targetable returns on tax dollars. He said governments on the Continent must provide adequate basic social services like hospitals and roads to encourage taxpayers to pay and be more compliant. Participants highlighted ways and means on how African countries can move beyond aid dependency towards African self-reliance. Discussions, among others, focused on the challenges and opportunities facing ATAF members in building strong tax systems to mobilize domestic resources for their national development. 1. More than 200 officials from Ministries of Finance and Tax Administrations of 30 African Countries, Development Partners, and representatives of International and regional organisations, academia, and tax practitioners met in Gaborone-Botswana from the 22nd to 26th of October 2018, to discuss how African countries can move beyond aid dependency towards African self-reliance. This discussion focused on the challenges and opportunities facing ATAF members in building strong tax systems to mobilize domestic resources for their national development. Inspired by the 2019 celebration of the 10th anniversary of ATAF’s creation, the participants looked forward to creating solutions and transforming African tax systems over the next decade. The event was hosted by the Commissioner-General of the Botswanan Unified Revenue Service, Mr Keneilwe MORRIS, and opened by the Minister of Finance and Economic Development. The Hon. Minister Otefetsi Kenneth MATAMBO welcomed the participants and stressed the significance of the meeting’s deliberations when falling aid required a transformed perspective among tax administrations and their governments. ATAF has served as the platform for technical assistance, promoting good governance, capacity building and for developing products that contribute to domestic resource mobilization (DRM) in Africa. The Chairman of the ATAF Council and Executive Chairman of the Federal Inland Revenue Service (FIRS) in Nigeria, Mr. Tunde FOWLER, emphasized the need for Africa’s pro-active approach and ATAF’s global visibility recognizing the recent appointment of ATAF on the UN sub-committees on tax and ODA, as well as tax treaties at their recent sitting in Geneva. Further he highlighted that ATAF is now recognized by the African Union (AU) as the leading body in Africa on tax matters. The participants considered the topic of aid and building African self-reliance through DRM to be both timely and significant if Africa’s development agenda 2063 is to be realized. The conference discussed the nature of the economic environment and the opportunities and pressures for improving DRM. Citizens and government need to be sensitized to the key role of tax, a theme which informed trends in tax policy. For members to reach their broad objective of a 20% tax: GDP ratio, they should consider improvements in domestic and international tax policy and implement modernization programmes targeting increased efficiency and effective revenue mobilization which recognizing the impact of Africa in global value chains. The meeting noted the need to widen the tax net to increase DRM through closer consideration of policy opportunities in VAT and the taxation of the informal economy, high net worth individuals, extractives and the agricultural sector. In this light, the discussions strongly criticized ill-conceived tax incentives offered to potential investors as a substantial drain on Africa’s revenue, while the impact is either not measured or insignificant compared to the foregone revenue. They suggested that ATAF support a whole of government approach on evaluation and develop cost benefit analysis to assess the impact of incentives [and consider possible work on incentives in the context of the extractives industry]. Participants recognized that Africa’s ability to improve DRM relies on political support to introduce well designed and appropriate tax policies and effective and updated legislation that is supported by efficient tax administrations. They welcomed ATAF’s tax policy work, noted that the African Tax Outlook is the benchmark for tax policy making and ATAF’s key tools including the ATAF Model Double Tax Agreement that balances taxing rights between countries, and the ATAF Suggested Approach to Drafting Transfer Pricing Legislation are extensively used by members. In preparing for the next decade, participants called for strong integrated systems for economies of scale, a closer dialogue between tax administration and policy, political support for implementation and improved taxpayer education to reinforce a tax paying culture and the social contract. The AU recognition is a game changer in raising the political profile of tax issues in this area and the conference called for DRM to become an AU theme in a future year. They also noted growing tax harmonization and collaborative initiatives in regional fora. The meeting applauded ATAF for its technical assistance work, new Technical Assistance Policy and its plans to cover all taxes and related systems. Participants called on ATAF to develop an online platform for members to share best practice and solve technical issues. They welcomed ATAF’s bilateral ‘downstream’ assistance which strengthens individual tax administrations. The meeting launched a Manual on the Delivery of Technical Assistance stressing the importance of country ownership, ‘South-South’ support between African countries, evaluation and impact analysis. This forms the basis for developing ATAF policy briefs (‘upstream’ work) and tools for strengthening legislation and developing systems. In response to a call for greater engagement of Commissioners General, ATAF will launch a new high-level dialogue next year to harness and share leadership experience. A key element will be developing a strategy for intra agency support after determining the areas for attention and assistance. This will seamlessly complement the established annual dialogue on the nexus between tax policy and administration that is already developing a closer relationship with policy makers, government and the legislator to build tax systems which reflect broader internal and external economic developments. To reinforce DRM, the meeting discussed the opportunities for improving voluntary compliance in African tax systems and the challenges of a large informal economy. Areas considered included presumptive taxes, segmentation and sector challenges including oil and gas, taxpayer education, auditing integrity, and the significance of the social contract. Participants recognised the challenges and opportunities posed by the digitalization of the economy. The growing importance of data, intangibles, and the absence of a physical presence to do business challenges the global tax rules. Africa must have a powerful pro-active voice in the global tax debate to ensure the rules are fit for purpose in Africa. The meeting called on ATAF to form a Committee on Digitalization. In addition, African innovation building on initiatives such as Mpesa offers a real chance to improve taxpayer connectivity, increase understanding and develop alternate African online systems for assessment and collection reflecting the continent’s needs. The participants reflected on how to enhance the relationship between ATAF and its development partners and proposed that ATAF develop an ATAF – Development Partner Framework for Engagement to increase collaboration and the value of the partnership for members and partners. As a practical example of international co-operation witnessed by the meeting, ATAF, OECD and the Zimbabwe Revenue Authority (ZIMRA) agreed to gear up efforts to tackle tax base erosion and profit shifting by multinational enterprises in Zimbabwe, through it’s participation in the Tax Inspectors Without Borders (TIWB) programme. Under the partnership between ATAF and TIWB the programme will build ZIMRA’s capacity in auditing multinational enterprises. 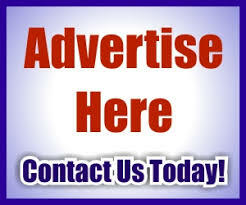 Develop a Framework for Engagement between ATAF and its development partners. Finally, the ATAF General Assembly, in line with its rules and procedures, elected a new governing Council as follows; Chair (Nigeria), Vice-Chair (Mauritius) and the following members: Angola, Burundi, The Kingdom of Eswatini, Morocco, Rwanda, South-Africa, Togo, and Uganda.